Mark and I will celebrate our 25th wedding anniversary in November! We have 2 amazing sons; Justin is 23 and graduated from OU in December of 2008. Cody is 19 and is attending OCCC. I am a warehouse manager at Frito-Lay and have been there for 22 years. We love to travel. I married my wonderful husband Earl in Jan, 1985. We have two daughters, Ashlynn 22 and Kristalynn 20. Our oldest Graduated college in 2007 and is a professional chef in Virginia. Our youngest is a EMT and is currently attending college at OSU for her Paramedic and RN Degrees so she can be a flight nurse! We have 5 god children ranging from ages 22 to 11. My husband retired from the Army in 2007 after serving over 20 years. We currently own a promotional products business called Tornado Alley located in Chickasha Oklahoma. Our hobbies include traveling and motorcycle riding. I have been married to my best friend, Neil, for 4 years. I was an emergency room nurse for over 10 years. I did perioperative nursing for a few years. Now I work from home & home school my 2 youngest children. I have 3 children. Melinda is 20 married and has a son Malachi (that makes me a grandma!). 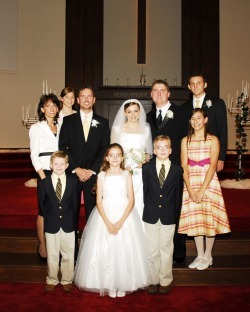 Faith is 9 years old and Brandon is 8 years old. My husband & I love to scuba dive & fish. We love spending time with family & friends. I have been in Cody , Wyoming since 1984. I met my husband John just by luck in 1985 and we married in 1990. We have two children Ashley 21 and Tyler 17. We also have 3 dogs that I love dearly. I have had several jobs over the years, own and operate in childcare facility for 8 years and I worked in a Senior Center as a Case Manager and then Executive Director. After four years of grant writing, budgets, managing 18 employees, and board of directors I had enough. I went back into childcare in 2005. Most of my time is spent helping run my husbands drywall business. I love to go camping and spending time anywhere that is quiet with my husband and the dogs. We live in a beautiful area fifty miles from Yellowstone Park and we try to get up there a couple times of year. After high school I married, had two daughters, and joined the Air Force. I finished my undergraduate degree (in education) during my Air Force years, divorced, remarried and had my youngest daughter. I left the Air Force in 2001 to take an IT director position in San Antonio. I completed my graduate work (in IT), taught at a technical college for a while and did some consulting, then took my current position (back in OKC) as the IT director for Santa Fe South Schools. I divorced again about 3 years ago and I'm quite happy doing my own thing for now. My daughters are Magon(23), Fallon(21), and Callie(8). I have three kids, a 21 year old son whose is now married, a 17 year old son and a 16 year old daughter. I have worked for the Oklahoma Hospital Association for 8 years. We are a trade association for all the hospitals in the state. My job is to make them happy by providing surveys, financial reports, and helping them with data which will provide easier methods to run parts of their hospital. My hobbies include reading and movies. Haven't done much traveling but look forward to it in the near future when the kids are off to college. I have one son (Ryan Bates) who is almost 21 years old. I worked at a Pharmacy Technician for over 20 years before becoming a Business Office Manager. I have worked at the Oklahoma City Indian Clinic for the past 15 years. I am also a Certified Senior Health Insurance Counselor through the Oklahoma Insurance Department. I've lived in the Dallas area since I moved here to attend dental school in '88, which I believe makes me an official Texan. I practice dentistry 4 days a week in a nonprofit dental clinic, treating low-income children. My husband Mike is the managing editor of Boys' Life magazine. We have two cello-playing daughters, Rachel (17) and Anna (14). 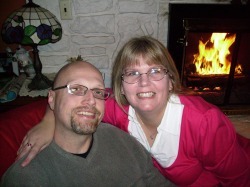 I am married to my husband Larry and we have a blended family of five children ranging in age from 16 yrs to 27 years. We also have a grandson who is 6 years old. I spent 14 ½ years in the Air Force and was medically retired while stationed at Tinker Air Force Base. We currently live in Sumner, WA, which is just northeast of Tacoma and love it here. After the military, I spent time working as chief operations officer for a private security guard company, then I moved on to be a 911 operator, and now work as assistant director of youth ministry at my church. I totally love my job and would not trade it for the world! I’ve traveled to many places and while in the military spent 3 three years living in England, UK. I also traveled to France, Wales, Mexico, Canada, and all over the United States. We currently own two dogs, Poncho and Kibble. Poncho is a miniature fox terrier and Kibble is a Boston rat terrier. I have many hobbies but my personal favorite is playing the bass guitar with the worship band at church as well as with the youth praise band. I am currently a senior at Faith Evangelical Seminary (Tacoma, WA) and will complete my studies for a BA in Religion at the end of winter quarter. I have lived in Dallas/Ft.Worth since graduation. I have a beautiful 20 year old daughter named Courtney. I am a controller of a law firm in Dallas. I love to travel to Europe, snow ski, weekend trips and also enjoy the country. I have had a very blessed life. I am living in Newcastle and work in South Oklahoma City at Cuttin Loose Salon. I have two children, a 15 year old son, Tyler, who is just about to be driving on his own and an 8 year old daughter, Terra, who is starting 3rd grade in Newcastle and plays softball and loves to ride horses. My interests are anything my kids are involved in, OU Sports, the Lake and spending time with my family. After high school I attended the University of Oklahoma and was a member of the Pride of Oklahoma marching band. Dr. Monica Enhee Lee, Director of the Piano Studies at Fullerton College since 2000, oversees the Piano Teaching Certificate program, piano performance majors as well as beginning, intermediate and advanced class pianos. Dr. Lee has served on the piano faculties of Northwestern University, Concordia University, and Prince Georges Community College. 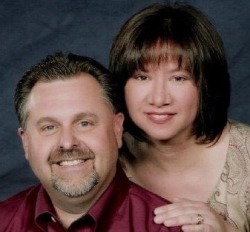 In addition, Dr. Lee has been teaching privately for over 20 years. As a pianist, she performed solo and orchestral pieces throughout the United States, Korea and Russia. For the past fifteen years Dr. Lee has adjudicated various competitions in Illinois and California. Through her Piano Teaching Certificate program, the music department received over $200,000 VTEA funding to purchase grand and upright pianos in 2007. She is currently the chair of the Annual Piano Ensemble Festival <http://music.fullcoll.edu/pianofestival> held at Fullerton College every January, an active member of MTAC Orange County Branch. She was appointed 2005-2007 member of the Community Advisory Council for Higher Education for the 56th District. Married with 2 kids, Presley (3 1/2) and Ryder (1 1/2). I work for the OKC Fire Department and have a pest control business. Love Oklahoma football, and love to travel, so I married a flight attendant!!!!!! After high school, I received my BA and MEd from UCO (Central State) and married my college sweetheart, Andy. We've been married 18+ years and have two daughters, Baleigh (17) and Camden (16). We live in NE Edmond and I work for the Oklahoma Dental Association as the Executive Director. I am a stay at home mom. I have been married for 16 years to my wonderful husband Steve. We have an 11 year old son named Tyler. Short story: I have been married for 20 years to Brian Taylor. We have 3 boys, Cody 19, Twin boys Jacob (passed away from leukemia @ age 13) and Eli who is 15. We have lived in Moore since '92, and Cody and Eli both were and are Moore Lions! I have been happily married for almost 22 years. My husband, Phil, and I have four children. Our oldest daughter is a Junior in college. I worked for over ten years in the banking business until the birth of our now eleven year old triplets. After that I became a stay at home mom...the most rewarding career there is. Recently I decided to go back to school. As of now I am working on a double major and enjoying every bit of it. I am still waiting to see what I want to be when I grow up. I'm single 2 years now after 19 years of marriage. I have always lived in Moore with my 2 kids, Kyla (19) who graduated from Westmoore in '08, and Ryan (17) who is a Jr. at Southmoore and plays Varsity Baseball. I have been married to Bobby Cowan for 23 years and have lived in Moore since '92. We have 2 kids, Sadie (19) graduated from MHS and David (17) plays for the Varsity for MHS. 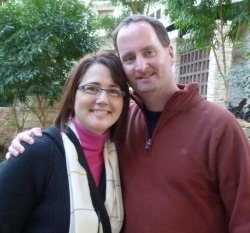 I have been married to Lisa Cobb Cowan for 23 years and have lived in Moore since '92. We have 2 kids, Sadie (19) graduated from MHS and David (17) plays for the Varsity for MHS. I have been married to my beautiful wife, Shelly, for 19 years this month. We live in Drumright and have home schooled our seven wonderful children. I work as an Emergency Physician in Stillwater. For my mid-life crisis, I joined the Stillwater Police Dept. SWAT Team as SWAT Doc - I think it keeps me young! We will celebrate 13 years of marriage in April. We have been together since our 10 year class reunion. We still live in Moore and have 2 children our daughter Brogan (21) engaged and our son Braden (10). We are expecting our first grandchild this Sept. Charles spent over 16 years in management in the printing business. He loves to golf, fish and go to OU games. I spent many years in the medical field until our son was born. I then went to work part-time as a personal assistant to a wedding and special event business. Since then I have developed a love for photography and took it to a more professional level working for myself. We love to travel to California to see my family and go to the Kansas City Royals baseball games. After graduation I completed my BBA in MIS from the University of Oklahoma, and my MBA from Oklahoma City University in Computer Science. I have been a computer programmer for FAA and Tinker Air Force Base the past 15 years. I am a single parent with two wonderful boys 16 and 11 years old. I was involved in a bad car accident 18 months ago that severely damaged my left arm. I have been on disability leave. I live through my two boys, Nate my oldest qualified for Nationals in basketball this year and is being scouted by two major colleges. He will be a Junior at Norman North High school and plays on the Varsity BB team. Jonathan is quarterback for his Optimist team and plays basketball as well. We have lived in Norman for the past 23 years. I am happily married to Rob Clark. We both teach at Moore High School, so I guess I never really left high school—that sounded really sad. I teach English IV and am one of the Senior Sponsors—graduation is an amazing thing to help with. Rob teaches Business/Computers. We have an 11 year old niece who lives with us, and she is one of the greatest blessings of our life. We also have three crazy dogs. Spending time with family and our friends is very important to us both. We travel every chance we get. We recently got back from a trip to the east coast where we stayed for 2 months while Rob coached collegiate baseball. Some who attended the old 89er’s games may remember him when he played for them or the Texas Rangers or Astros organizations, although he did not graduate with us. I am in the process of completing another degree—this one is in Administration with an emphasis in legal issues. I can honestly say that I love teaching high school, so even after I complete the degree, I know I will somehow stay in the classroom even if it is teaching college. Things have changed a great deal since we were all at MHS. It is really eye-opening when I get a student whose parent is a 1984 graduate!! Talk about making you feel old! After graduation, I left to go to college and my parents moved to Houston, so I never really came back...sorry! I got married in 1986 to a great girl I met in college. We have 3 kids, my oldest just started college at our alma mater, Abilene Christian University. My other daughter is a freshman in high school and my son is in the 5th grade. I work in the Communications Department of the Fort Worth ISD, while my wife is a teacher in the Northwest ISD. We moved around a lot early on as I was working for various TV stations in Texas, Oklahoma, Kansas and Missouri and then I spent 6 years in the Athletic Department for Texas A&M University. We finally settled in Fort Worth in 2004 and will probably be here for a while longer. I still do Video Production, but now it's more marketing then commercial, plus I get to be an instructor for some of the students in the district. I still have yet to make a reunion, mainly due to bad luck and bad timing...maybe I'll make to the 30th! I have made it to 2 alumni days for MHS baseball...and will probably be at the next one in April of 2010! Don and I have been married for 21 years. We have four amazing boys: Courtney 31 married to Melissa (the mother of our grandsons, Dekan 2 and Owen 2 months), Quinton 29, and twins Kyle and Dalton 17. We live on 6 acres in the Moore area. Courtney is the IT guru for Architectural Design Group, Quinton is an amazingly talented self-employed photographer (check him out at www.qmyersstudios.com) and the twins are Seniors at Moore High; Kyle is the Drum Major and Dalton is an incredible swimmer. I am the Attendance Secretary at Highland East since January 09, absolutely love my job!! We love to: Cruise the Caribbean when we can, spend time with family, spoil our grandchildren then send 'em home and go to antique auctions. I love my life! Gy Sgt UMSC, retired. 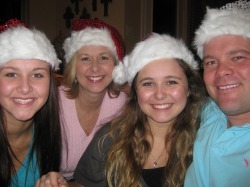 My wife Sandy and I have 3 children ages 16 (boy), 17(girl) & 18 (girl). Residing in Texas and fishing every chance I get! Ron and I will celebrate our 13th wedding anniversary in June this year. Collectively, we have 3 sons, Dusty is 27 and is in the army, Josh is 25 and is a wrestling coach in Illinois and Andrew is 24 and going to college in Ada. We have 2 grandchildren, Raylee is 3 and Colton will be 3 in May. We enjoy spending time with our family and friends. We also love to travel and spending time on the lakes.